To read the full investigation into Dec. 3 and all that followed, see here. 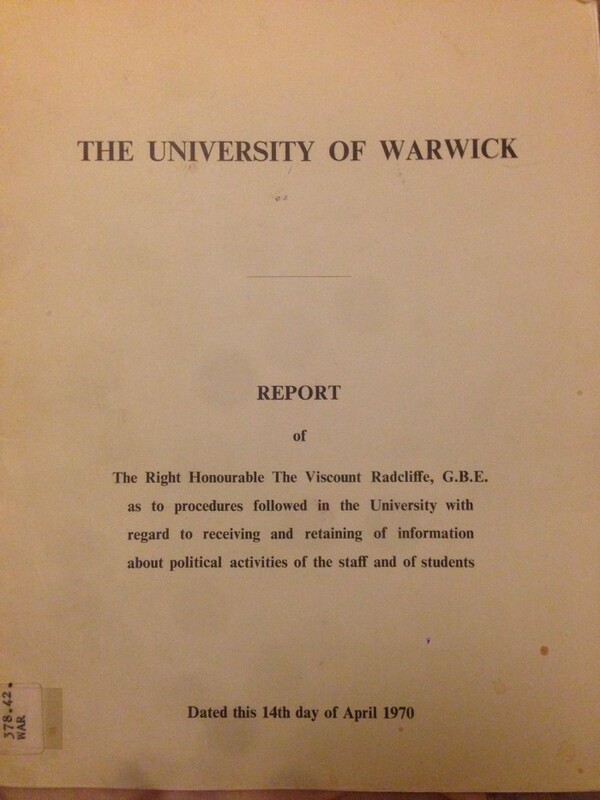 Chancellor Radcliffe’s report into accusations of political surveillance, 1970. These events, like those of Dec. 3, 2014, sparked a national outcry over the way university managements were dealing with protest activity. 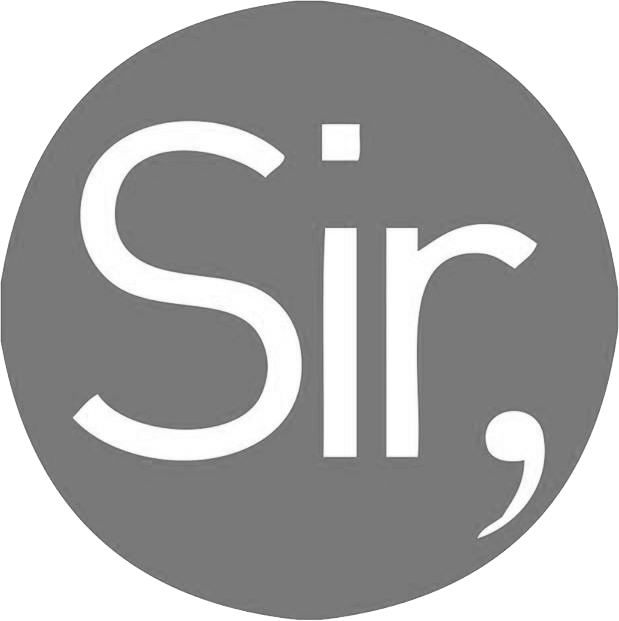 An investigation was initiated at the request of University Council and Senate into the issue of political information gathering at Warwick, headed by then-Chancellor Viscount Radcliffe.3 Despite the assurance by Nigel Thrift on Dec. 8 last year that, “The Registrar has … asked an independent member of our University Council to review the outcomes of any specific complaints that are raised by students or staff regarding the actions of members of the University in these events,” it appears no similar investigation has been initiated this time around. Perhaps that’s no great loss: the report which resulted from Chancellor Radcliffe’s inquiry in 1970 was shambolic in its deference to the claims of senior management. It also flatly refused to engage with most accusations of political surveillance by the Vice Chancellor, Jack Butterworth. In this passage of the report Radcliffe argues that any disruptive political activity can expect to be met with surveillance and disciplinary action, in the same way that simple vandalism would be. In essence, a conflict was present between the University administration – represented ideologically by Radcliffe with his emphasis throughout on the “internal order of the University” –6 and student protesters, who have long reserved their right to keep disruptive tactics in their arsenal. The same dispute remains with us today. 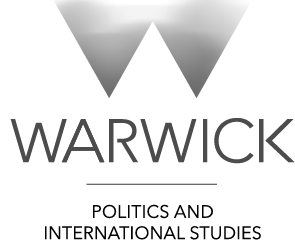 During the Summit on Protest organised by the Centre for Human Rights in Practice in 2015, Warwick’s management repeatedly attempted to delegitimise Warwick For Free Education’s (WFFE) use of disruption as a way of leveraging the administration. In a survey put out by the Centre, Deputy Registrar Jo Horsburgh called for protesters to “[allow] the University and its members to function in daily business,” and condemned WFFE’s previous attempts to “unlawfully occupy”.7 Protests are viewed as a “threat,” to use the Head of Security’s language at the Summit, to be combatted with “intelligence” gathering. Plain-clothed security guards are deployed on campus, body-cameras are used, and sensitive locations – such as the BP Archive – are swarmed with guards whenever management suspect something is being plotted. In short, protesters threaten the smooth functioning of the University, and need to be managed, surveilled, controlled. Hope Worsdale and Callum Cant, the WFFE representatives on the panel, repeatedly retorted that such tactics have historically been deployed by campaigners for centuries. Indeed, they have been used at Warwick: in May 1977, for example, the student body voted through a motion at the Students’ Union calling for an occupation of Senate House over the University’s failure to divest itself of shares in South African companies propping up the apartheid government. In response, Vice Chancellor Butterworth backed down and initiated a process that would eventually lead to the University selling off its apartheid-linked shares and switching from Barclays Bank, which was considered a major supporter of the white supremacist regime at the time.8 Thus, it appears that the recent claim by the Academic Registrar, Michael Glover that “the University is not going to negotiate on a set of demands with a group of people who are occupying a space. We never have and we won’t,” isn’t quite true. The University has previously been forced to negotiate with and respond to demands issued by students quite willing to use occupations. During the seven year fight for a permanent Union building, for example, the Students’ Union itself repeatedly threatened and used sit-ins and occupations during negotiations with various decision making bodies within the University.9 That battle was eventually won in 1974. The stance of the University, whilst it has a certain intuitive plausibility to it – you can protest, but make sure it doesn’t disrupt anything – is hard to sustain. Purely symbolic protest – “bearing witness”, “making your point”, or generally making your views heard – is one form of protest. But a wider campaign often has to utilise other, more direct methods, which directly alter the balance of power between campaigner and authority. Take climate change: as the great climate writer Bill McKibben has written, the fight against climate change “was never going to be settled on the grounds of justice or reason. We won the argument, but that didn’t matter: like most fights it was, and is, about power.” You can march down the street in protest or write as many empirically sound and well-reasoned articles as you want, but the fossil fuel industry isn’t going to suddenly halt the excavators and stop its operations. It functions under a certain internal institutional logic, and within the context of a wider market structure, both of which require it to continue the rapacious drive to survey, dig, and burn. Only forceful interventions in the nexus of power can change this. And so it is with the University administration. WFFE, Fossil Free Warwick and others can make as many brilliant arguments as they want, but the management are operating within competing pressures, of which reason and argument are only one. The imperative to run the University like a business, please corporate partners and conference dwellers, and adhere to the rigid metrics of the league tables are some of those competing pressures in the modern higher education sector. Sometimes, when it is tactically expedient, pressure needs to be applied through economically disruptive protests, in order to change management’s scales of calculation. But there remains a certain truth to Jo Horsburgh’s statement that there should “be a recognition that there are many things which are out [of] the University’s control”.10 Management can’t change national educational policy overnight, or reverse the embedded neoliberalism of the Thatcher years. But rather than conclude that they should just give up and get on with their lives – as many students do – members of WFEE undergo a different strategy. Through their demands and activism – some of which can be successful, some of which can’t – they expose the contradictions at the heart of the modern university. They make arguments for entirely just and sensible things: freedom of thought, tolerance and free education. The opposition they face reveals the sheer difficulty of achieving such basic values within the campus and national system we have created, as their desire to uphold elementary principles is met with CS gas and batons. Through their direct confrontations with the authorities, flashes of the stifling limitations of our existing system, and the violence underpinning it, are occasionally revealed. That may one of the primary values of a group like WFFE. Connor Woodman is the Warwick Globalist’s Editor-in-Chief. Following a year abroad at Monash University, Australia, he is in the final year of his PPE degree. He is also Deputy Editor of the Worldly Magazine. He can be contacted @ConnorDWoodman on Twitter, or at c.d.w.woodman@warwick.ac.uk.